Touch the crown of horns and know the world. Marri Champié has been nominated for the Pushcart for poetry. She has won the Boise State University President’s Writing Award for fiction & poetry & the Oregon State Poetry Award. Champié works as a wildfire support driver, and lives on a small ranch overlooking the Idaho Prairie. However, she was raised in Hollywood and says her childhood was “filled with fantasy and the creation of unreality.”Silverhorn is her debut novel. 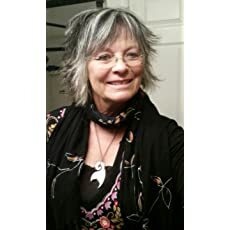 Silverhorn explores themes of magic/mysticism, history and Celtic and Native American traditions and heritage, family dynamics, love, friendship and music. It follows Willa – a young, beautiful rising rock n’ roll star who is also a cowgirl whose family ranch is the Silverhorn, a wild area that has long been off-limits to outsiders. Willa becomes obsessed with finding the truth behind a mysterious legend about what is on the other side of Silverhorn Canyon – is it a Native American legend or something far more ancient? She risks it all to find out. Readers who enjoy cross-genre novels in which science and magic coexist, and those drawn to the Wild West will find it doubly appealing. Silverhorn weaves myth into truth and truth into myth. For centuries, archeologists contended Mongolians who crossed the land bridge were the first Native Americans. But were they? In 1996 the controversial discovery of nine-thousand-year-old non-mongoloid remains in Kennewick, Washington changed that theory. When the tribes reclaimed the bones and buried the original site of the find, testing of Kennewick man’s identity ended. But the puzzle and speculation over America’s first people continues. Blending Native American myth and Celtic legend, Champié suggests an extraordinary possibility regarding America’s first inhabitants. Willa MacLeod is young and her rock bank is just starting to get famous. But she is also a cowgirl. Her family owns the Silverhorn, a vast wild area that has been closed to outsiders. In the wilds is the Silverhorn Canyon. There is a lot of mystery around this canyon and Willa finds herself drawn to it. But is it because her mother disappeared there many years ago or is something drawing her to the canyon? Willa has just recently gotten famous from the band and she is still trying to process this. 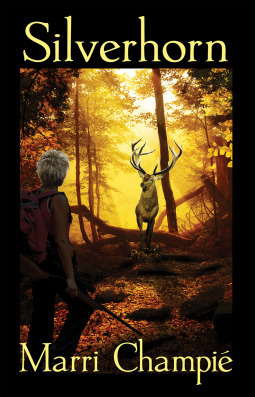 But she finds herself drawn into the legend of Silverhorn Canyon and goes hunting for it every day until she finds it. But what she finds more than she expected. This story has some history and mythology wrapped up in it. There is discussion of who the first people to come across the land bridge to America were, their heritage. Then you have both Celtic and Native American mythology wrapped up to. Watching Willa discover who she really is in this world was a wonderful trip. This is a good story, one that had me wondering what was going to happen next and hoping everything worked out for Willa. It’s one you should check out, you might be surprised. I would like to like to thank MZPR for the opportunity to read and share this book.